- Time: 4pm (10 to 13 year olds), 4:40pm (JH + 6th graders). o Plan to stay after school for this game. Contact your drivers and let them know ahead of time! Games will be over at 5:45pm. 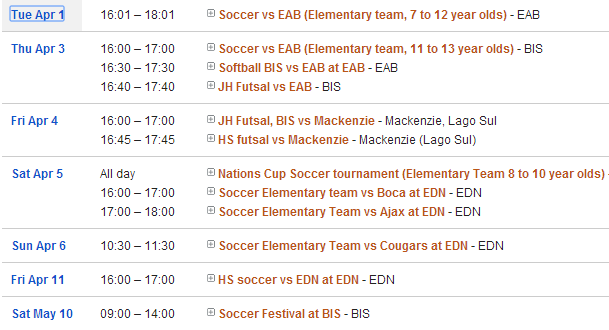 The BIS Eagles (Elementary Soccer Team) did a great job on the Nations Cup soccer tournament. The players who represented BIS on this tournament were: Michael, André, Lucas, Caleb, Negash, Keileigh, Vanessa, Phillip, Isaac, João Marcos, Joseph and Noah. Please circle the clubs you would like to join. Wednesday Clubs, 3:30pm to 4:30pm. Soccer Club (1st to 6th grade) - R$85. Art Club (3rd to 6th grade) - R$85 (begins on April 30th)* . Dance Club (3rd to 6th grade) - R$85. Archery Club (5th to 12th grade) - R$85. Thursday Clubs, 3:30pm to 4:30pm. Dance Club (K to 2nd grade) - R$85. Two great games against EAB for the Elementary Soccer Team. On Tuesday the Elementary soccer team had two great games against EAB. On our second game the Eagles were down 4 to 0, but they came back on the second half to tie the game at 4 to 4. We had penalty kicks shoot out and in the end the Bulls won 2 to 1. This was a VERY exciting game. Way to go Eagles! The players on this game were, Ngash, Martin, Bonga, Vanessa, João Marcos, André, Lucas, Denzel, Michael, Ignacio, Carlos***, Aqib, Joseph, Kayleigh, Phillip, Saturnino** and Omair. Players with * next to their names were the ones who scored goals for BIS. Way to go Eagles! The JH and HS team had great games against Mackenzie on Friday. 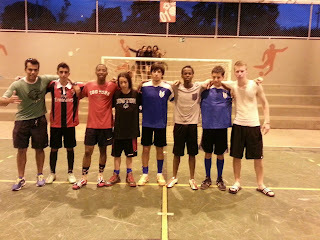 The players who represented the JH team were Farhan**, Salvador*, Makembo* , Goro, Linus (goalie), Lucca, and Omair. On the HS team we had Wilko*, Roen*, Andrew*, Adnan, Letsie, Ben and Kwame. Players with * next to their name were the ones that scored goals for the Eagles. The HS game was particularly exciting because our starting goalie (Gustavo) was not able to come, so Andrew, Adnan and Letsie took turns being goalie and they actually did a pretty good job! - special thanks for the girls (on the background of the picture) that came to watch and support our team. THANKS! Go Eagles! 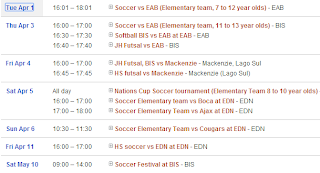 Check out below the dates and times of our games this weekend for the Elementary Soccer team (ages 8 to 10). We'll play two games on Saturday afternoon and one game on Sunday morning. 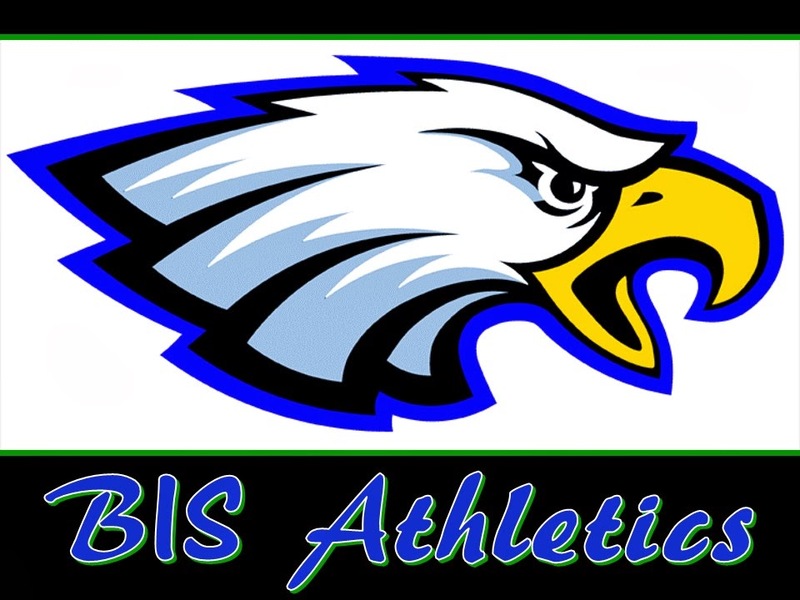 Go Eagles!